The configuration of the GPS Space Segment is well-known. A minimum of 24 GPS satellites ensure 24-hour worldwide coverage. But today there are more than that minimum on orbit. There are a few spares on hand in space. The redundancy is prudent. GPS, put in place with amazing speed considering the technological hurdles, is now critical to all sorts of positioning, navigation and timing around the world. It’s that very criticality that requires the GPS modernization. It is certainly necessary. The oldest satellites in the current constellation were launched in 1989. Imagine using a personal computer of that vintage today. Therefore, it is not surprising that there are plans in place to alter the system substantially. What might be unexpected is many of those plans will be implemented entirely outside of the GPS system itself. GNSS, the Global Navigation Satellite System, is on its way. A European Commission report recently predicted that GNSS and related businesses will account for 140 billion Euros in applications and hardware by 2015. So it is no surprise that there is great anticipation from a business perspective, but from a user’s point of view the situation is not unlike the advent of GPS more than 30 years ago. Much is promised but little assured. New capabilities will be available, but exactly what and exactly when is by no means certain. Nevertheless, it is prudent to consider the ramifications of a constellation including QZSS, GLONASS, Beidou, GALILEO and GPS satellites. 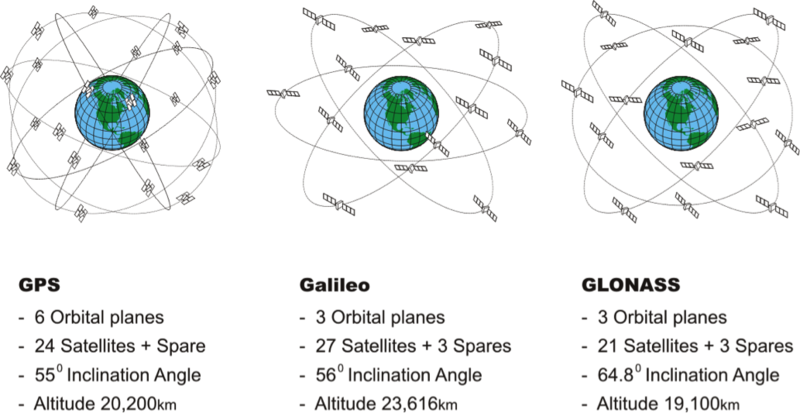 Within a decade there may be as many as 80 navigational satellites in orbit. What will that mean from the user’s point of view?